The Nexus 7 is one of the best devices for a few reasons: perfect size, loaded with power, easy to use, and most importantly best bang for your buck. Yes, it has a few quirks, which many of us are annoyed at like the lack of an SD card port (devs are working on this as we speak), but overall this is a great device for people getting started on Android, as well as for those who are more seasoned in the field of Android development. So, how could you make something this good even better? 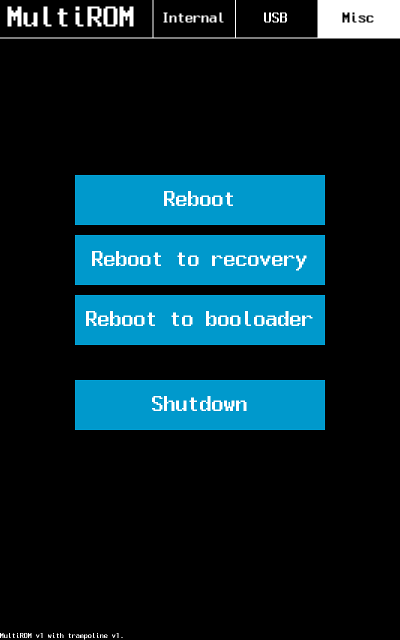 XDA Recognized Developer Tasssadar can answer this question with his latest creation: Multi-Boot for the Nexus 7. You are likely familiar with the concept of dual booting or multiple booting different operating systems on your devices or your computer. However, more often than not, doing this comes at a price where you have to modify your bootloader, erase all your data, or a slew of other unsavory things that most people outside of our little world would rather not do. This tool saves you from all of the above, as it does not touch the /system partition on your device, nor does it wipe your data. That said, there is an inherent risk of wiping your data or even damaging your device, as it does mess with the /data partition and boot sector. However, if everything works the way it should, your system and data should be safe. So, what can you run with this? Pretty much anything that you want: other versions of Android (as long as the ROM is made for the device, of course), different versions of Linux such as Ubuntu, and more. Currently, the only caveat is that the ROMs will need to run from the internal storage, but the dev is hard at work trying to get around that issue to enable booting the images through USB.. Oh, and for those of you with 3G versions, you are covered as well. Please take this for a spin and breath new life into this small powerhouse. MultiROM is multi-boot solutiom for Nexus 7. It can boot android ROM while keeping the one in internal memory intact or boot Ubuntu without formating the whole device. For now, ROM can be only in internal memory of the device, but booting from USB is planned, I am trying to get support for kexec into Ubuntu, which is essential for this.